Dot Property CEO Matthew Campbell (far left) with the management teams from London Heights International and Trivelles International. 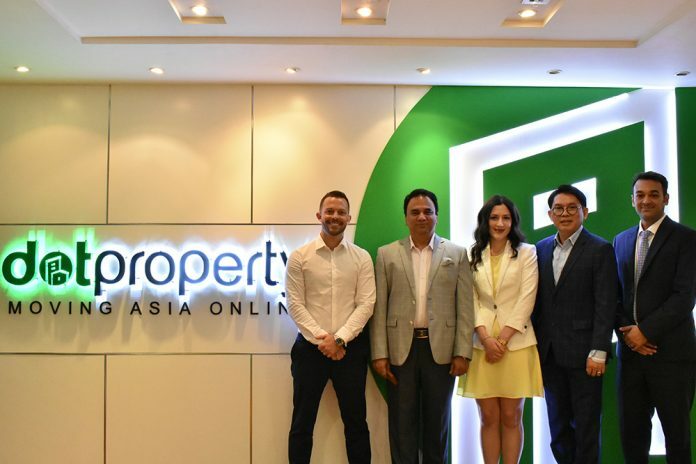 Respected UK-based property consultancy London Heights International has named Dot Property, a LIFULL CONNECT company, as its principle marketing partner in Thailand. 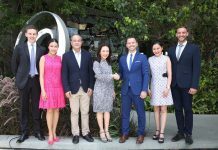 The move is another milestone for London Heights International in the Kingdom after it recently opened a permanent Bangkok office. 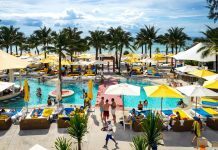 The agreement will see Dot Property organise a series of events throughout Thailand in 2019 including the first UK property seminars in Phuket and Pattaya designed exclusively for agents. 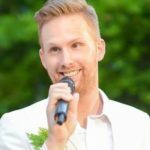 This is in addition to several other marketing opportunities. 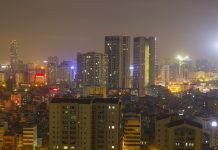 As Southeast Asia’s leading real estate marketplace, Dot Property is uniquely positioned to assist London Heights International in reaching a bespoke audience of both investors and real estate agents. 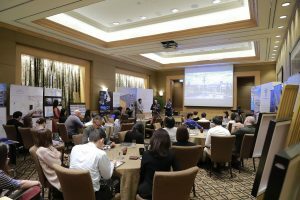 The next London Heights International event being organised by Dot Property is a UK property seminar exclusively for agents in May in Bangkok. Real estate agents will have a chance to gain a much better understanding of the UK market as well as learn more about the current benefits of representing UK properties. London Heights International has a proven track record in Thailand having sold properties in the country for several years. Due to strong demand and positive feedback from existing clients, the company wanted to have a permanent presence in the country. These efforts included the opening of an office and sales gallery in Bangkok as well as reaching an agreement with Dot Property to be its principle marketing partner in Thailand. “We have 65 percent repeat business in Thailand. Which is why we are based permanently here with a very welcoming sales gallery, to service everyone better. I believe local property agents should attend our upcoming nationwide agent seminars or look us up right away through Dot Property and this includes real estate investors too. We have the highest yielding yet most secured investment opportunities ranging anywhere from THB1 million to THB100 million Baht, just book an appointment via Dot Property,” Khan noted. As a Southeast Asia’s leading real estate marketplace, Dot Property provides a full suite of marketing tools that will be customised to assist London Heights International’s goals in Thailand. In addition to the UK property seminars, London Heights International and Dot Property will collaborate on several other projects in 2019. These are set to be announced in the near future. “Dot Property is delighted to be London Heights International’s principle marketing partner in Thailand. This exciting arrangement allows us to leverage our breadth of marketing capabilities and expanded reach as a LIFULL CONNECT company to help London Heights International fulfil its ambitions in Thailand,” Adam Sutcliffe, Director of Events and International Markets at Dot Property, said. 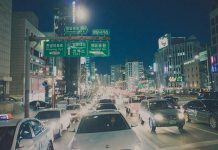 Seoul property market goes cold, but for how long?